It’s understated, hidden on the second floor of a brownstone, and filled to the brim with odds and ends for gents. 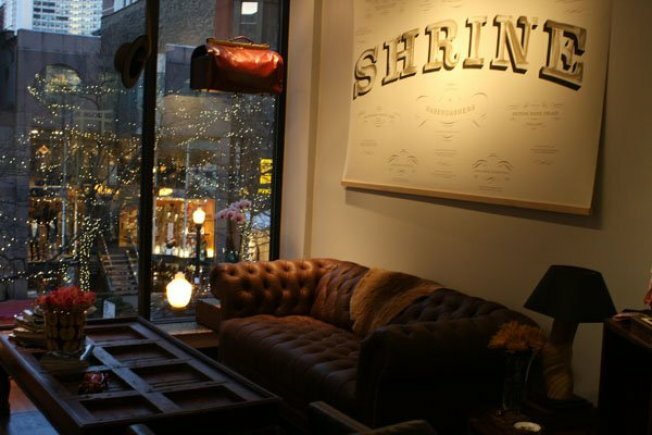 That’s what’s in store for you when you take a trip to newly-opened Shrine, a haberdashery-type men’s store that has taken up residence on Oak Street. Customers are greeted with a cup of coffee (or liquor, later in the day) upon arrival, instead of the traditional fake “hi can I help you spend your money” attitude that comes from most stores. The fun experience continues throughout the shopping trip, when associates do everything to make sure you feel right at home inside, even hanging up your coat for you so you don’t have to carry it around the store. From foreign jewelry pieces and cufflinks to woven ties and hand-stitched gloves, everything in here is class all the way. This men’s store will leave you feeling like a true -- well, gentleman.